What can Memberium do for you? The Web’s Best Membership Plugin for Connecting Infusionsoft & WordPress. Be able to create an unlimited number of free, paid or trial membership levels and an unlimited number of online courses. Memberium allows you to support an unlimited number of members & students. Memberium is built to connect Infusionsoft™ & WordPress following strict development standards. Use Infusionsoft’s powerful automation tools in WordPress. See how they work together by clicking on the Memberium graphic below and watching the video. Memberium was designed from the ground up for performance, speed and scalability. Similar membership site plugins require enormous amounts of memory and use a massive amount of API calls. Turn any WordPress theme into an advanced, automated membership site. Easily create an unlimited number of membership levels, allow your members to manage their own accounts & more. Use our shortcodes to easily run advanced Infusionsoft actions in WordPress. Add one click upsells, host Infusionsoft order forms, list custom fields & more. Our dedicated support staff is available to help 7 days a week. 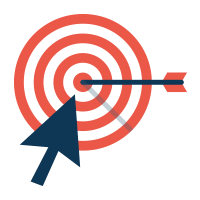 We use Memberium on our own membership sites and are dedicated to helping you run a profitable, successful membership site. 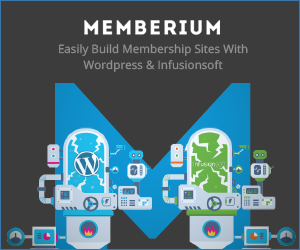 Memberium is the best membership software package for those wishing to integrate membership with Infusionsoft and WordPress. 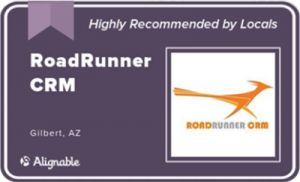 RoadRunner CRM is authorized to set up your membership system on your WordPress site using Memberium.